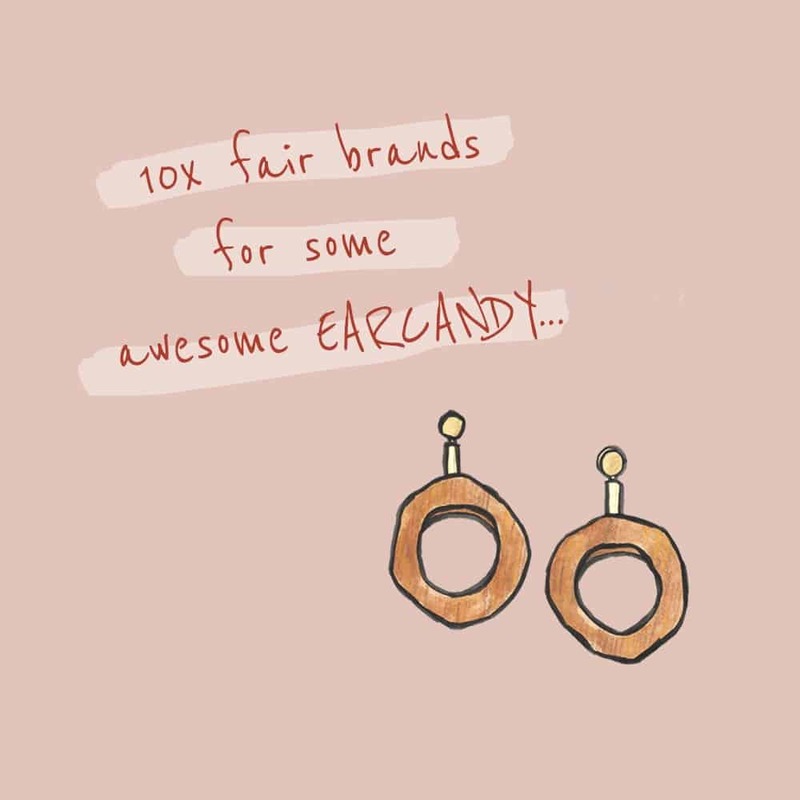 FairFriday.nl | 10x fair brands for some awesome earcandy! 17 Oct What? 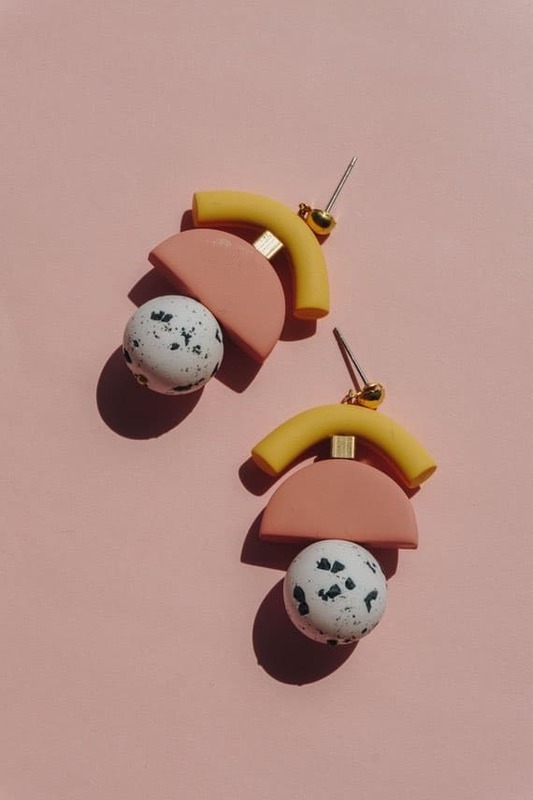 YASS, 10 brands for FAIR EARCANDY! Who says fair and sustainable is boring and not fashionable? Oh yes, that’s true: we said that a few years ago. But good news: that has definitely changed. 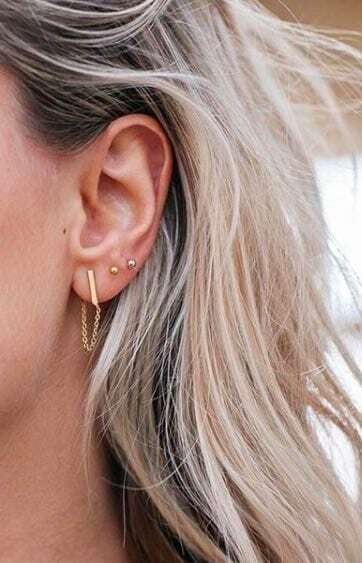 Take for example a look at our top 10 fair brands for earrings and… we think you’ll agree! 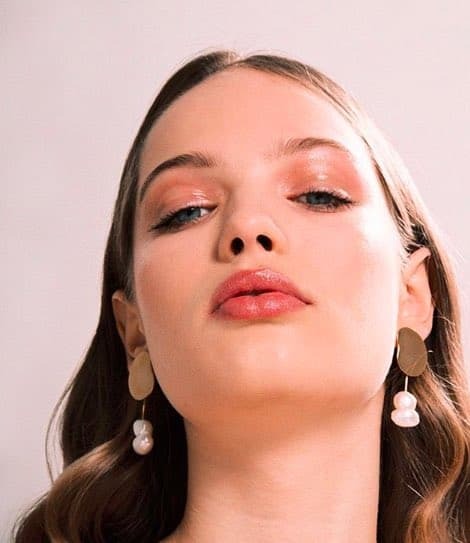 So spice up your outfit with extraordinary statement earrings OR just give your outfit that subtile sparkle it’s longing for with everyday earrings. First in our list is: Wolf & Moon! 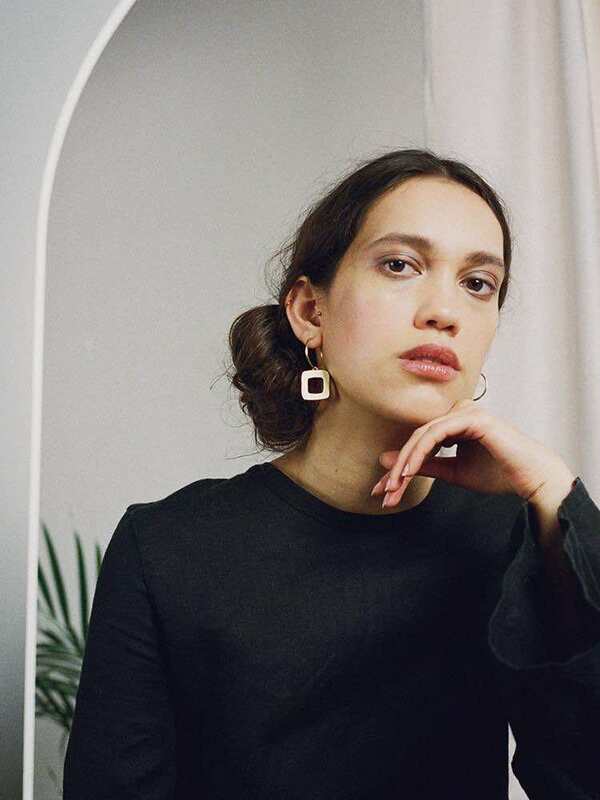 A handcrafted jewelry label by British designer Hannah Davis. The collection is inspired by nature, architecture, art and design. 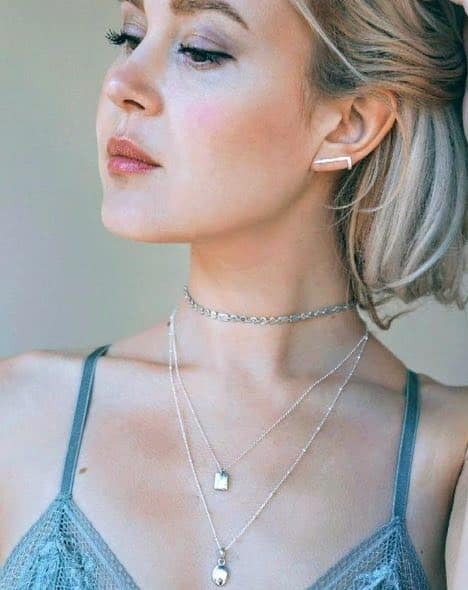 Each piece of jewelry is fairly made by hand in their studio in London. 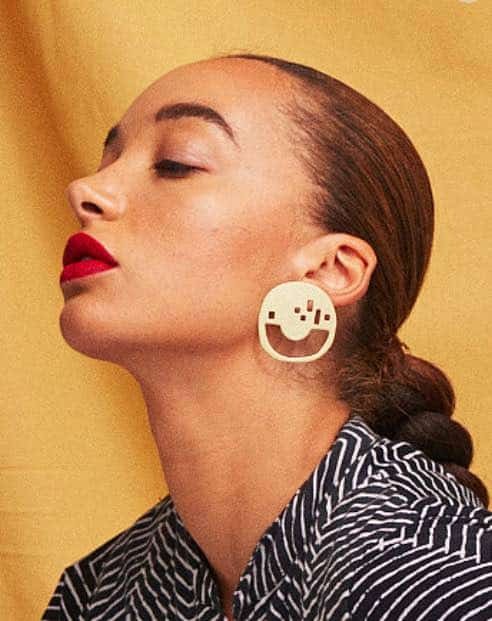 Besides fair, this brand also pays attention to sustainability: they only use FSC certified wood, most of their waste is recycled and they reduce the plastic consumption as much as possible. 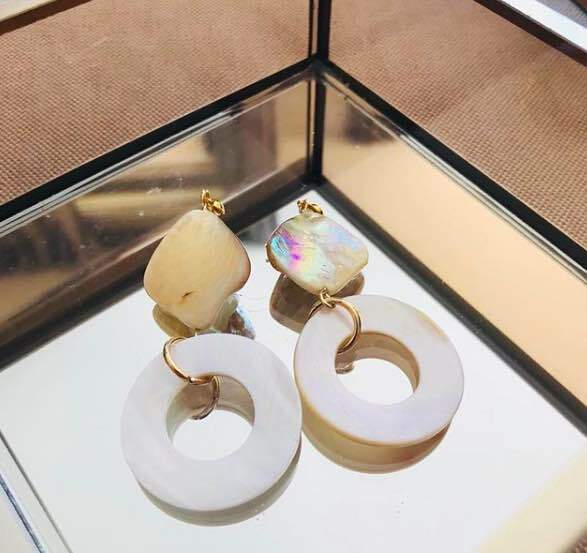 Riverstones is one of the first fair jewelry brands we got to know. The brand has developed more and more over the years: something we really like to see! 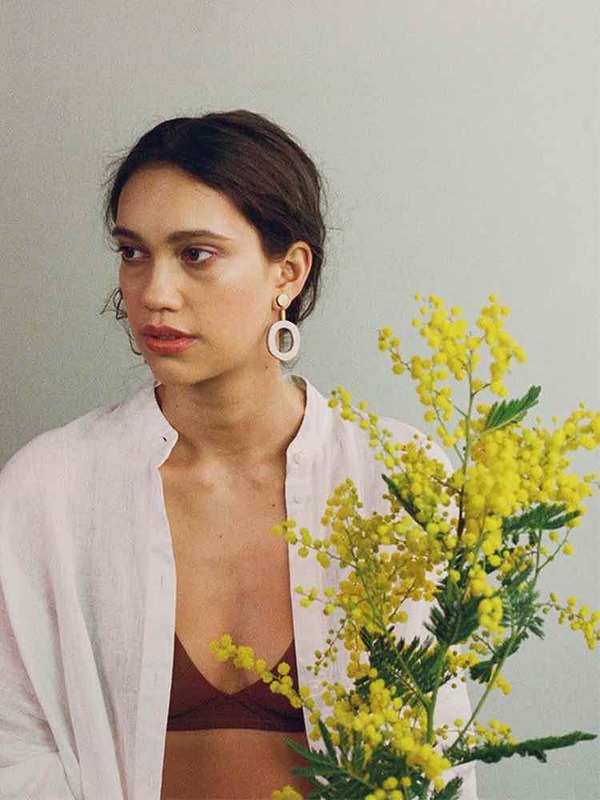 For example, owner, Roja Brall, has set up her own factory in Bali to make the production as fair and sustainable as possible. We love to see that the more we invest in sustainable and fair brands, the more brands can develop! 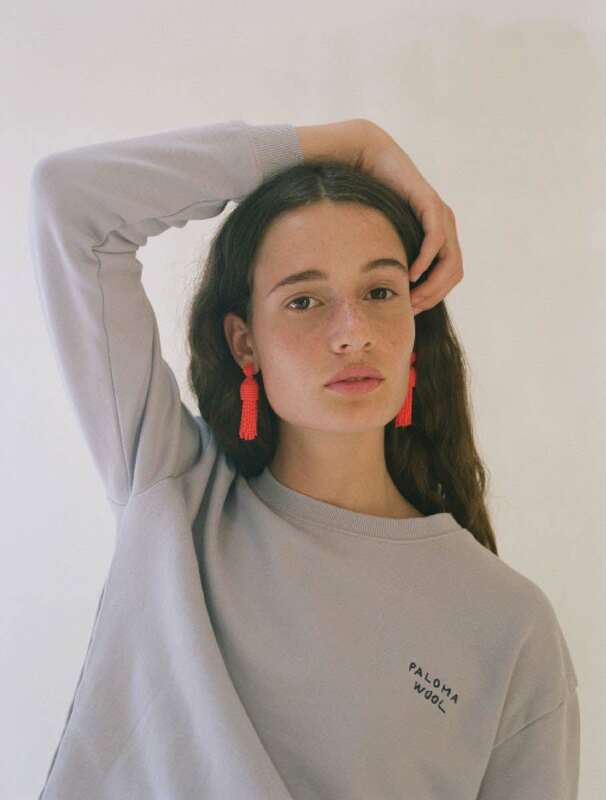 This is a brand we just discovered, and we were INSTANTLY IN LOVE WITH IT. Latvia’s creativity takes place in her small apartment in Līvāni. Everything is made by herself: from designing to packaging and shipping. The materials are not sustainable (polymer clay) so this is something that could be improved. But it’s definitely fair and a good thing is that it’s for everyone’s budget too! 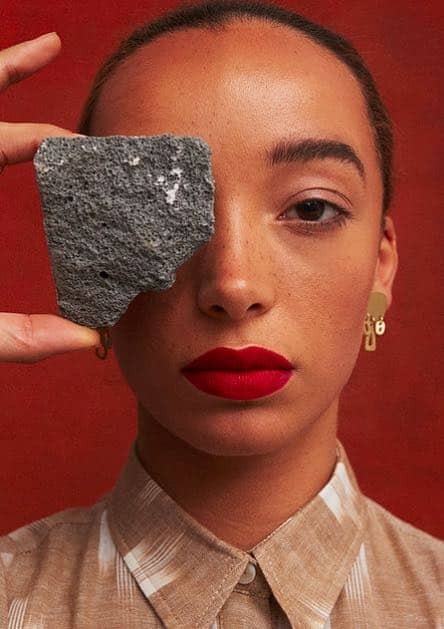 In her home studio Ruby makes all her pieces by hand: there she sands, seals, solders or smooths, each and every order. 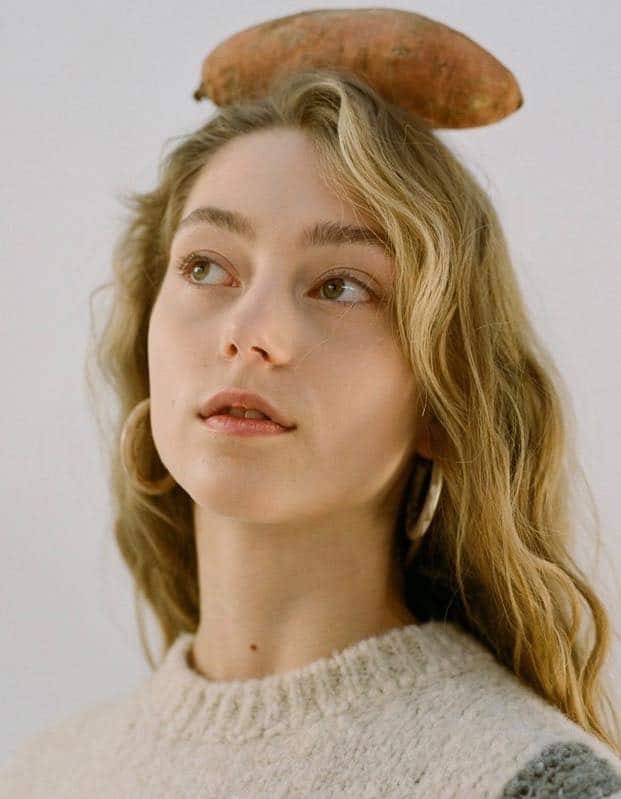 Her inspiration comes from experimental music, her mothers wardrobe & imaginary forgotten cities (you can already tell by this that her work is fantastic…). 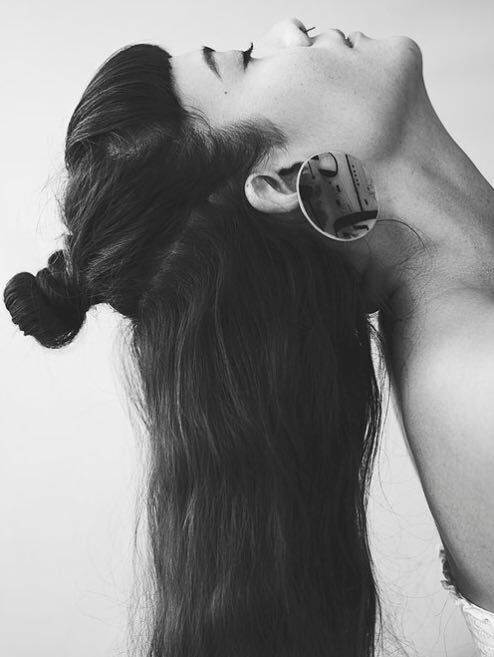 Her collection exists of graphic, statement pieces, designed to spark a conversation and complete an outfit. 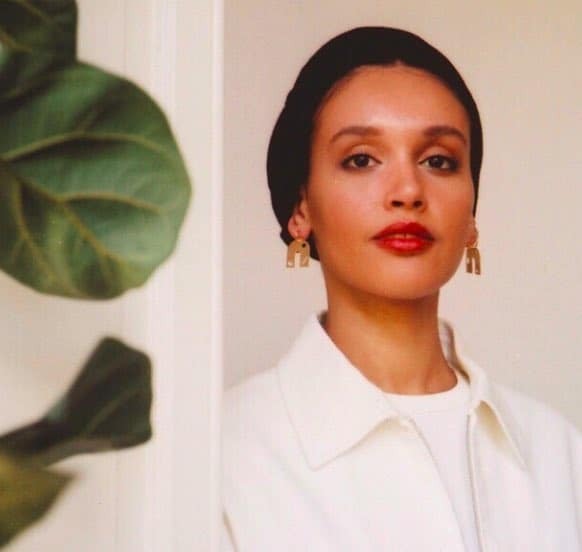 PS: we’re not the only one who like it; this brand has also caught the eye of Zarina Akers (stylist of Beyonce) and Villoid (Alexa Chung’s boutique). 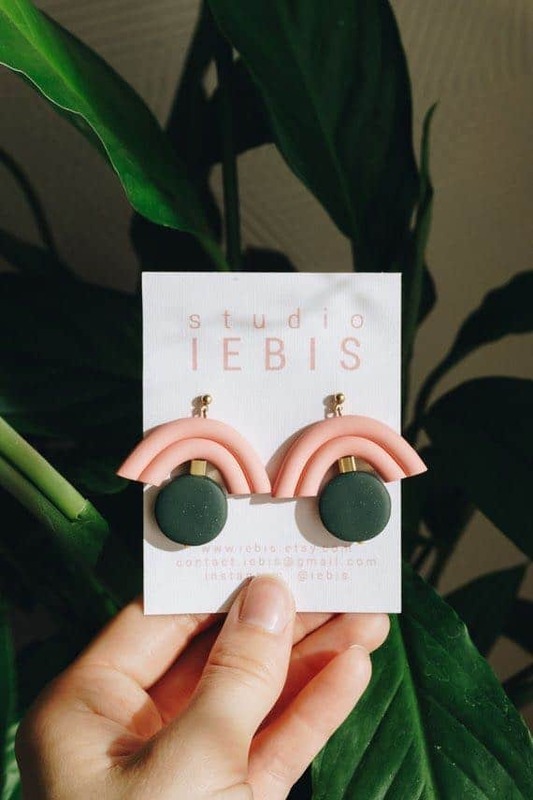 You might know this brand from their clothing (it’s gorgeous) but they make fabulous designs for earrings too. 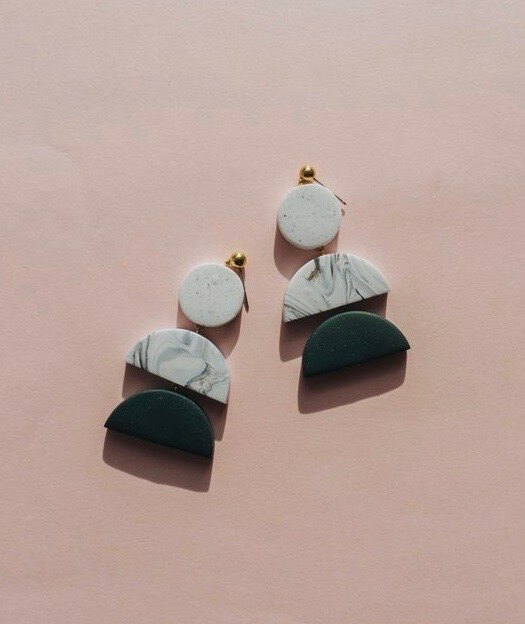 Like their whole collection: it’s out of the box and that’s just the one thing we need with statement earrings! 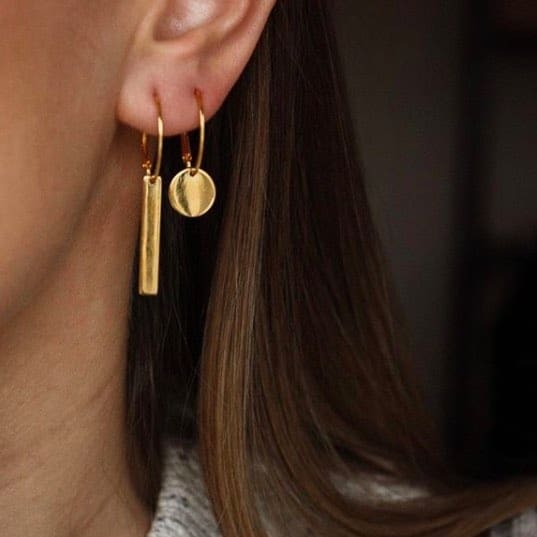 Sorella Amsterdam definitely deserves a place on our list: it’s one of the most sustainable and innovative jewelry brands we know! How they do this? By turning old necklaces and bracelets into new treasures. 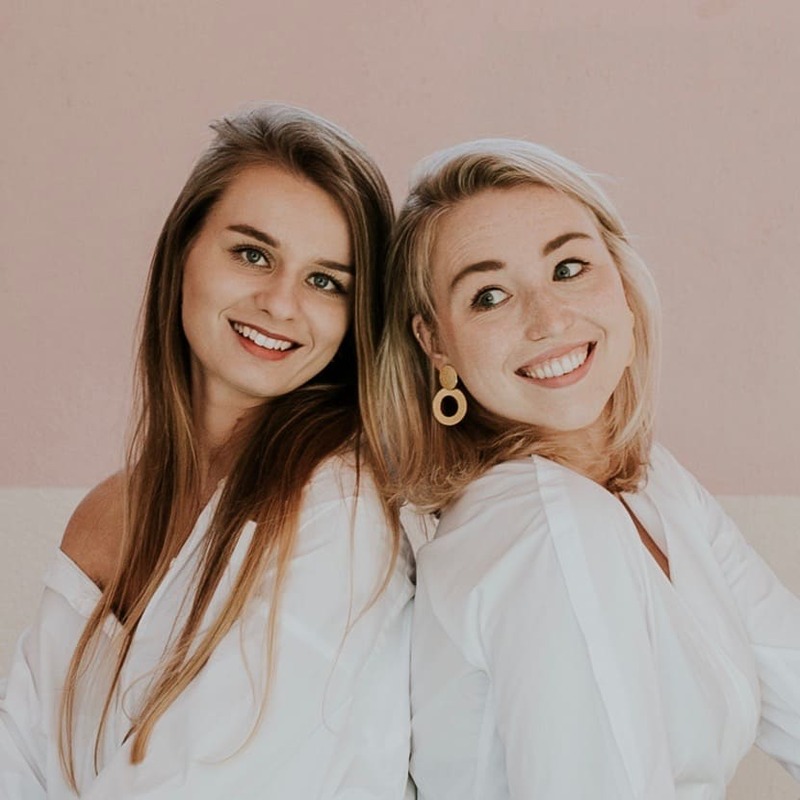 We love the creativity of the two sisters, Kim en Kirsten. They also prove that fair and sustainable doesn’t always have to come with a high price: their price range is from 8,95 to 9,95! 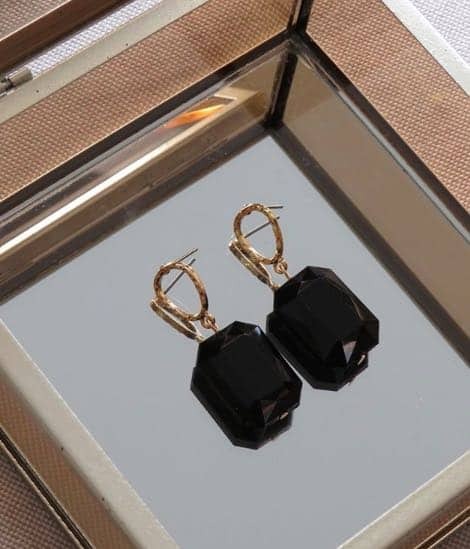 Besides statement earrings, we also love to wear subtile earrings! 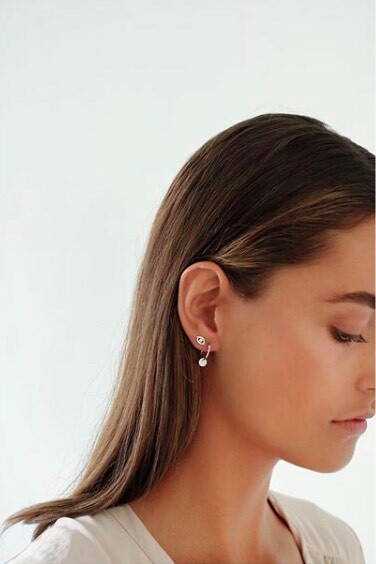 And Neinties is perfect for a more minimalistic pair. Plus, good news: you can get 15% off your order with code “AWAY15” and free shipping on orders over €30 with “FREESHIP”. Besides buying local to reduce the transport, we also find it very important to support communities in other countries. HINTH is short for: Handmade IN THailand. The jewelry is fairly made by local crafters from Thailand who put their love and soul into their art. With this brand you support local communities that pass down the tradition of handcrafting through generations. 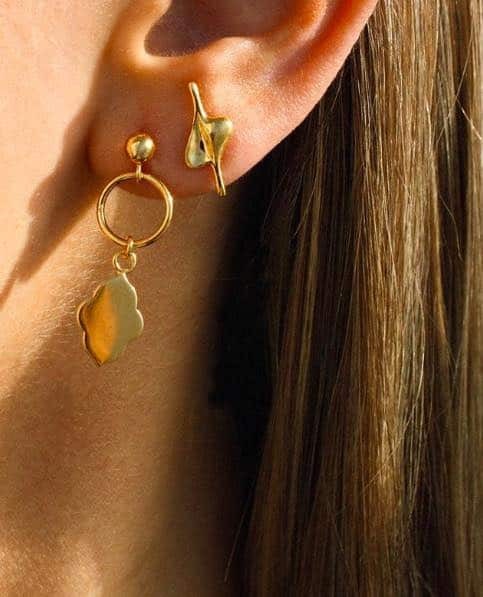 All their jewelry is made of recycled silver & gold (hooray!) Why? Because it’s sustainable + when extracting silver and gold human rights are hardly ever respected, fundamental employment rights are violated and child labour, forced labour and discrimination are daily atrocities. For example, 90% (about 25 million people) of gold miners live in poor and remote territories and work by hand. 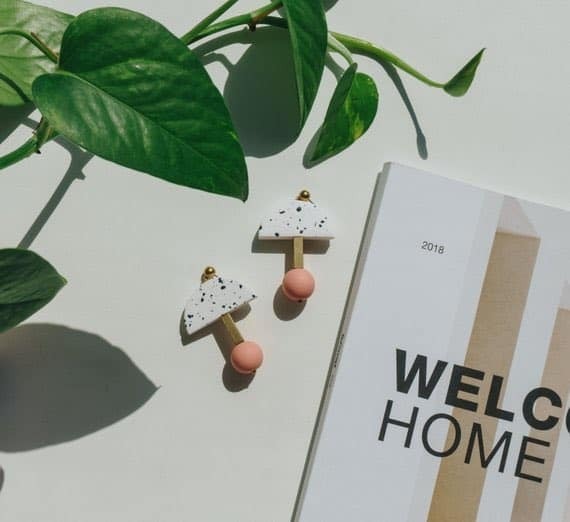 Plus, all pieces of jewelry come either in a handmade rotan box that is biodegradable, or a handmade batik pouch that is made by Curms, a sister company in textile that is also producing fair in Bali. We hope you’ll love the brands as much as we do! 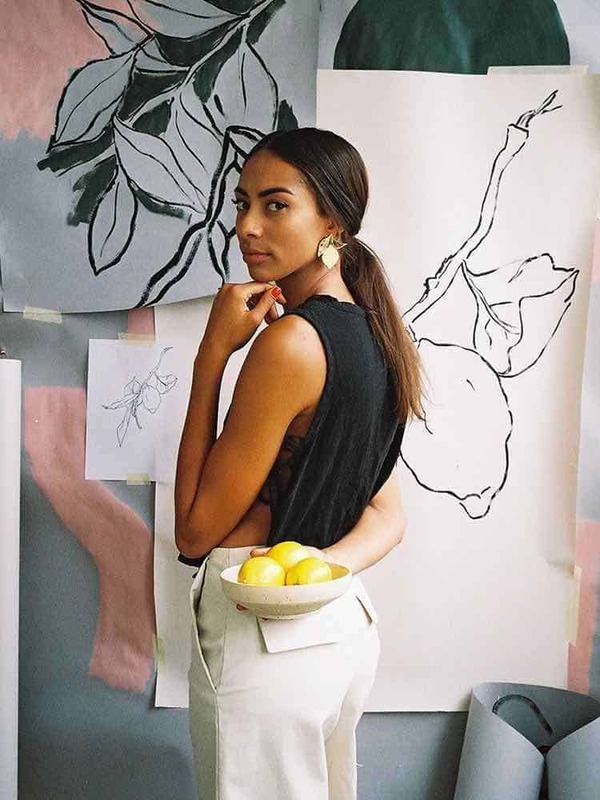 Do you have any new fair or sustainable brands you love? Let us know below!